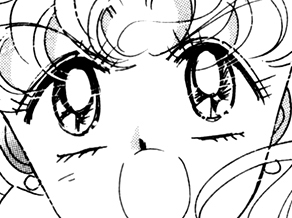 Usagi Tsukino is the ditzy and clumsy, but loveable heroine of the story. She easily makes new friends, thanks to her friendly and outgoing nature, and never bears ill will towards anyone. After a fateful encounter with the black cat Luna, she gains the ability to transform into the soldier of love and justice, Sailor Moon. As Sailor Moon, she develops a strong determination to protect her loved ones, and never gives up hope even in the most despairing of situations. Together with her guardian soldiers, she vanquishes any evil attempting to inhabit the galaxy, and slowly gains more power in the process. 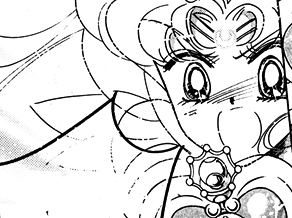 With her passionate love for the world and everything living, she is everyone's beloved Sailor Moon. 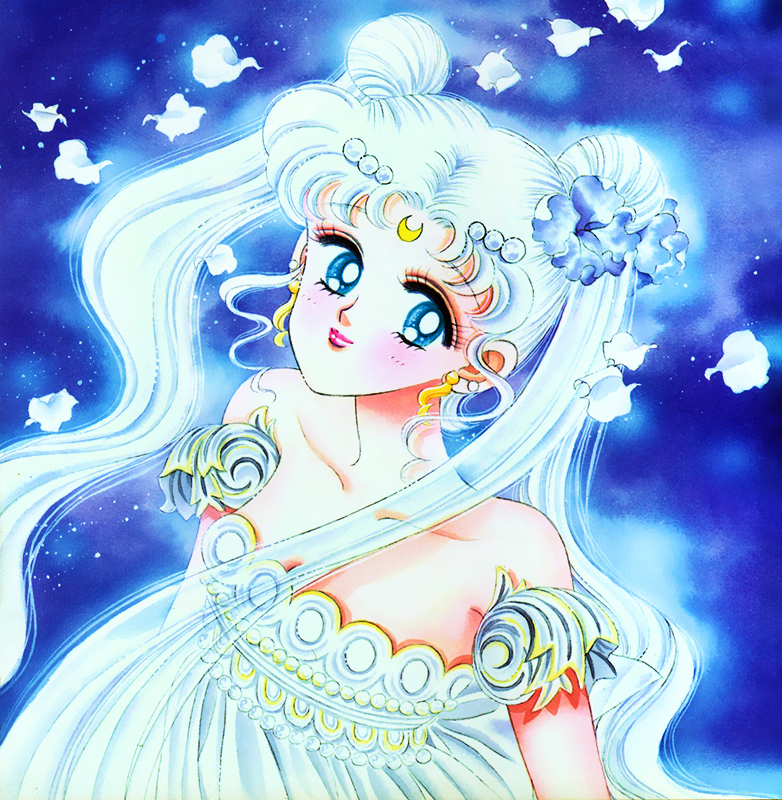 Usagi Tsukino is the real identity of Sailor Moon, the gentle but powerful, sailor soldier that possesses the Phantom Silver Crystal. She wears her blonde hair into two pigtail buns called "odango", a hairstyle that gained her the nickname odango-atama (bun head). She has blue eyes, and is normally seen wearing a school uniform. 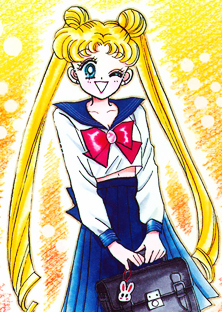 Usagi is usually together with the civilian forms of her guardian soldiers, but also have several other friends from her school; Naru Ōsaka being her best friend, along with Gurio Umino, your everday geek. At home she has a loving mother going by the name Ikuko Tsukino, who often scolds her for her easy-going attitude about school-related matters. 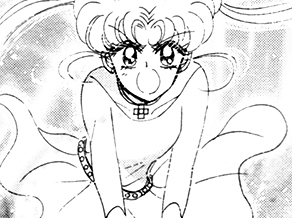 Usagi's father, Kenji Tsukino, is a rather over-protective man, especially when young men are involved in the picture. She also has a younger brother going by the name Shingo, who usually does his best to get into quarrels with his big sister. Sailor Moon is the alter ego of Usagi Tsukino, and the soldier of love and justice. This form makes its first appearance in volume 1, act 1. 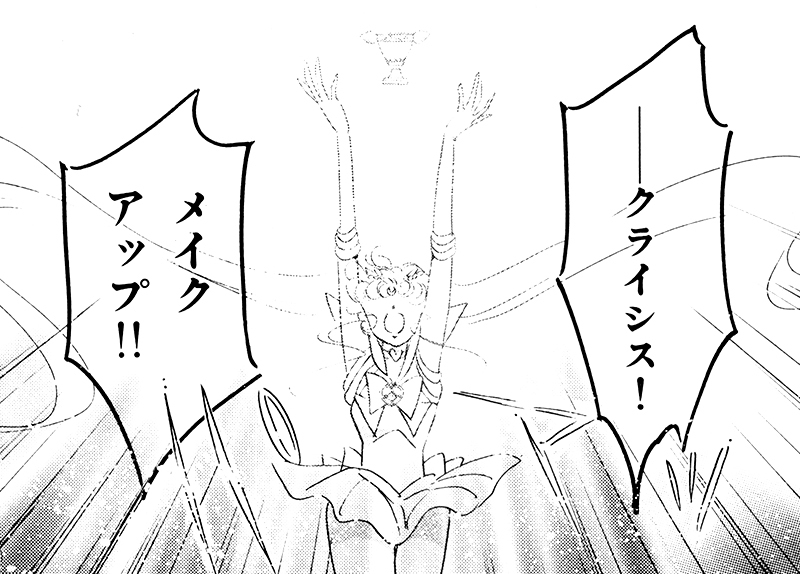 To transform into Sailor Moon, she shouts "Moon Prism Power Make Up!". Sailor Moon is the leader of the sailor soldiers, and is often seen crying or panicking in tense situations during the early beginning of the series. However, when the situation requires it, she will bring forth all her power to save her loved ones. 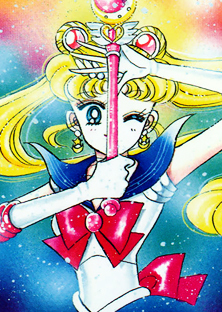 In the beginning, she wears a mask (similar to that of Sailor V) and uses a tiara to defeat her enemies, but later also uses the Moon Stick. The mask gradually shows up less as the manga proceeds, to eventually completely vanish. 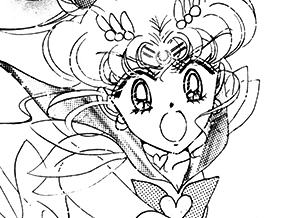 Super Sailor Moon is the powered-up form of Sailor Moon that makes its first appearance in volume 7, act 33. 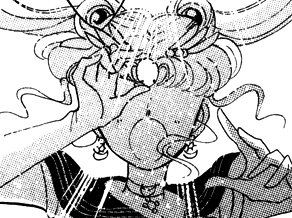 Sailor Moon uses the power of the Holy Grail and shouts "Crisis Make Up!" to transform. In this form her powers are strong enough to take on even the most powerful members of the Death Busters. Eternal Sailor Moon is the third form of Sailor Moon, and posseses the second greatest power next to Neo Queen Serenity. It made its first appearance in volume 10, act 48, when the sailor soldiers combined their powers in order to defeat Queen Nehellenia. She shouts "Moon Eternal Make Up!" the first time to transform, and later "Silver Moon Crystal Power Make Up!". Sailor Cosmos is the true form of Chibi Chibi, and far distant future form of Sailor Moon. She makes her first and only appearance in volume 12, act 60. She comes from the future, where she fought against the powerful Sailor Chaos and lost the war. She wondered how things would have been if she had destroyed the Galaxy Cauldron, and returned to the past. Disguised as Chibi Chibi she wanted to help Usagi make the right decision. 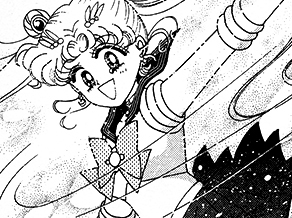 At the end she tells the Sailor Quartetto that Eternal Sailor Moon is the new Sailor Cosmos, and that she will replace her as the true Sailor Cosmos, once she gains the courage to stand on her own and accept her fate just like Eternal Sailor Moon. 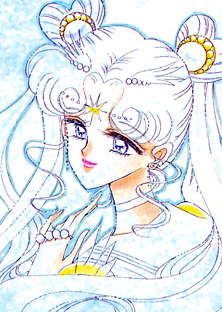 Princess Serenity is the past form Usagi which first appears in volume 2, act 9. She was the princess of the Moon Kingdom, and often travelled to earth in secret to meet her lover, the prince of earth, Endymion. They shared a forbidden love, as inhabitants of the moon and the earth were not allowed to be together. However, they rejected their fate, and eventually bad luck came their way in the form of Queen Beryl. 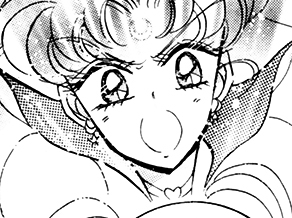 The jealous woman rose an army against the Moon Kingdom and destroyed it. 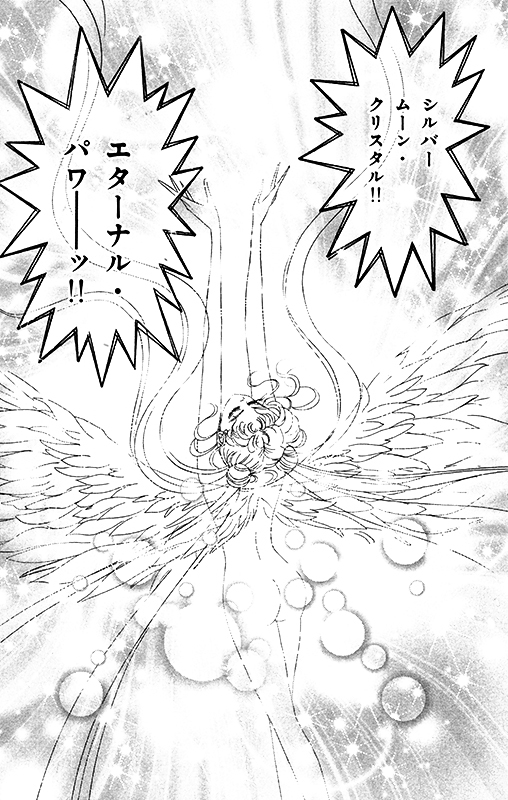 During the attack, Endymion protected Serenity and fell during the battle. The princess then committed suicide in the sorrow of losing her beloved. 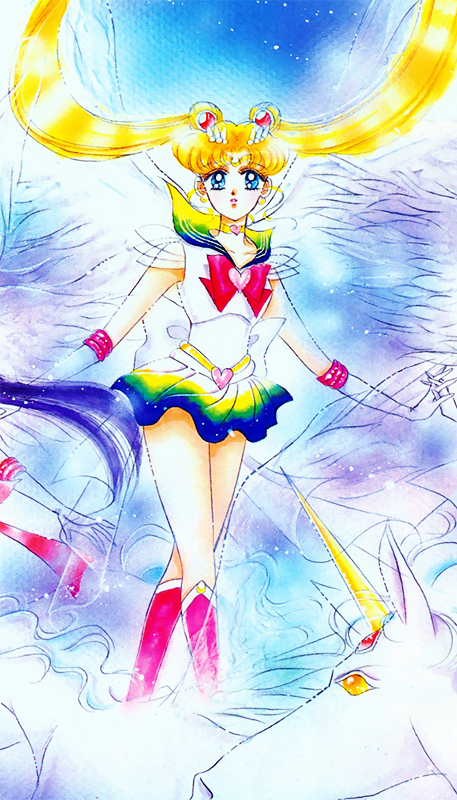 Usagi often transform into her princess form in the present when facing great peril. 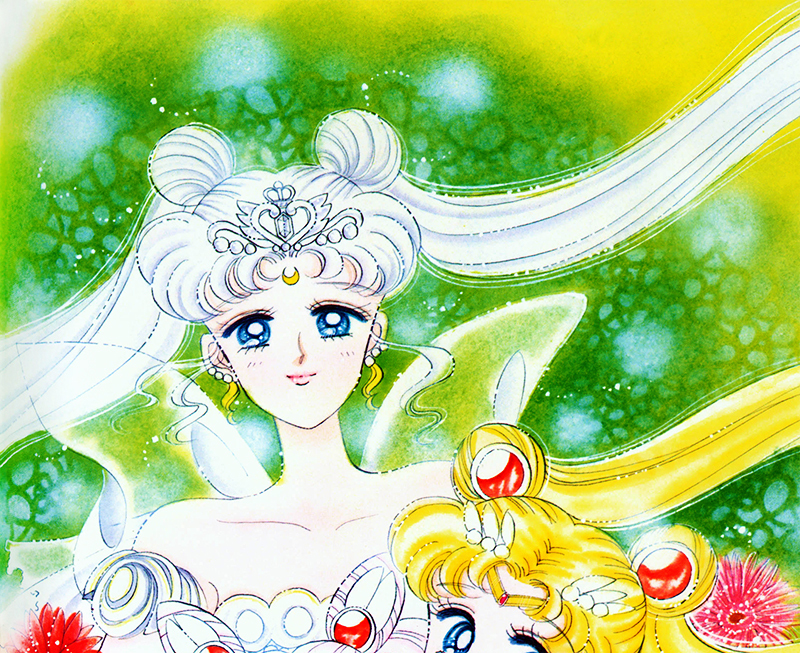 Neo Queen Serenity is the future form of Usagi, and makes her first appearance in volume 4, act 19. 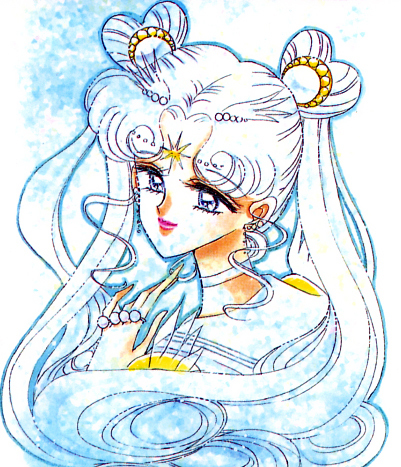 She is the queen of Crystal Tokyo in the 30th century, and lives in her palace together with her husband King Endymion, their daughter Small Lady Serenity, her guardian soldiers and their three cats. She ascended to the throne after her 22nd birthday, in the 21st century, and also gave birth to Chibi Usa that year. Her appearance, despite her high age, is kept youthful with the help of the Phantom Silver Crystal's power. 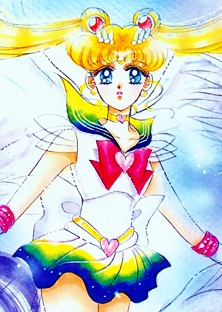 After becoming the queen of Crystal Tokyo, she lost most of her powers as a sailor soldier. 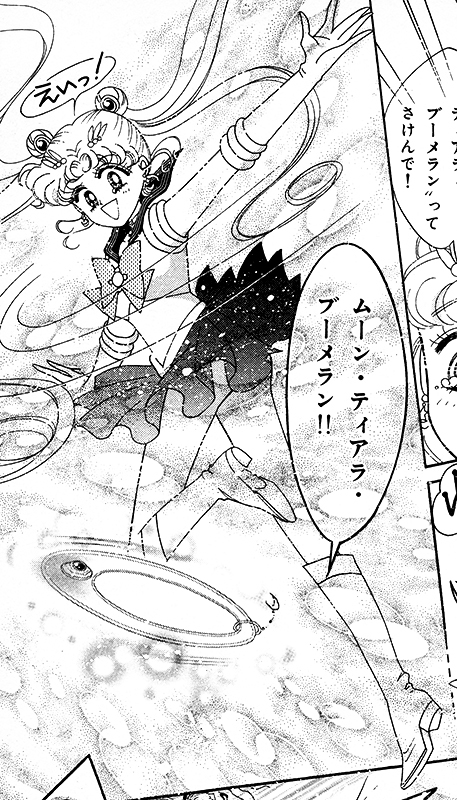 Moon Prism Power Make Up is first seen in volume 1, act 1. 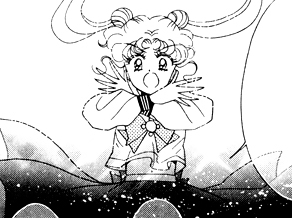 It's Usagi's first transformation into Sailor Moon. Her transformation brooch was given to her by her guardian cat, Luna. Moon Power is first seen in volume 1, act 2. 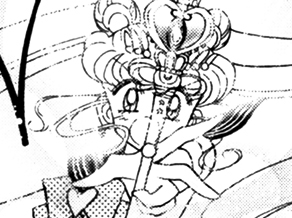 Usagi uses a transformation pen given to her at Game Center Crown to transform into anyone she desires as a disguise. 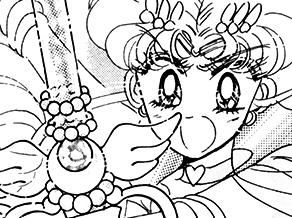 Moon Crystal Power Make Up is first seen in volume 3, act 14. It's Usagi's second transformation into Sailor Moon. To transform, she uses a star-shaped brooch given to her by Queen Serenity. 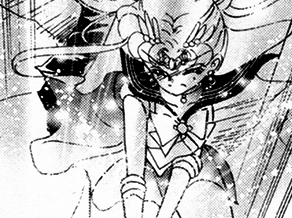 Moon Cosmic Power Make Up is first seen in volume 6, act 27. 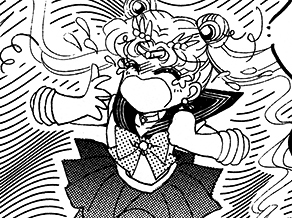 It's Usagi's third transformation into Sailor Moon. 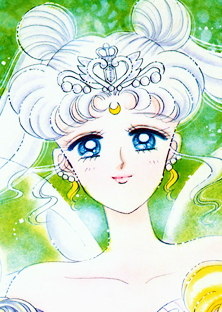 This transformation uses a heart-shaped brooch given to her by Neo Queen Serenity. 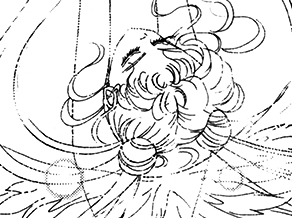 Crisis Make Up is first seen in volume 7, act 33. 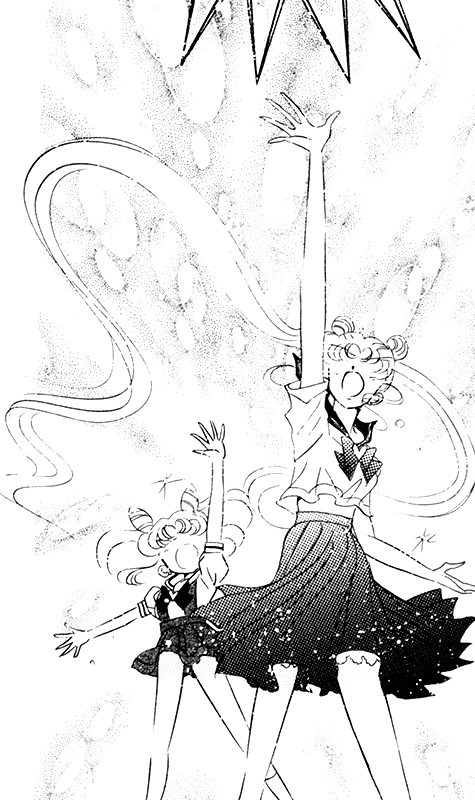 It's Usagi's first transformation into Super Sailor Moon. To transform, she uses the power of the Holy Grail. 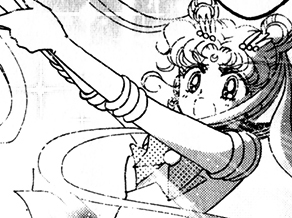 Moon Crisis Make Up is first seen in volume 8, act 39. 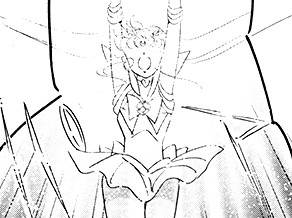 It's Usagi's second transformation into Super Sailor Moon. She transforms together with Chibi Usa, after being bestowed with a new power from the Holy Grail. Moon Eternal Make Up is first seen in volume 11, act 50. 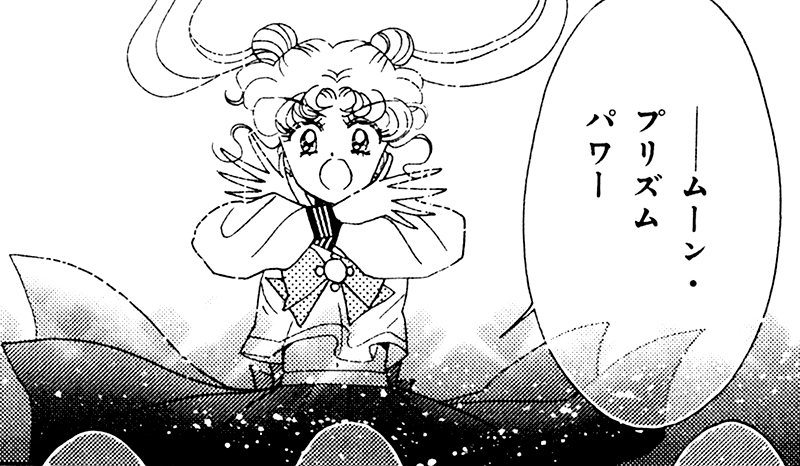 It's Usagi's first transformation into Eternal Sailor Moon. This transformation phrase was only used once while using the power of the Holy Grail. 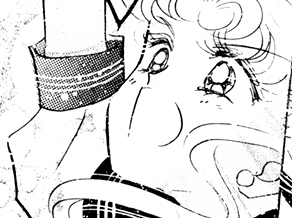 Silver Moon Crystal Power Make Up is first seen in volume 11, act 51. 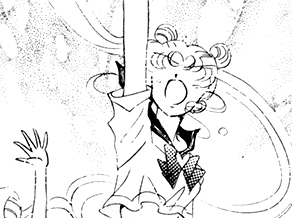 It's Usagi's second and final transformation into Eternal Sailor Moon. It utilizes the power of the Holy Grail. Supersonic Waves is first seen in volume 1, act 1. 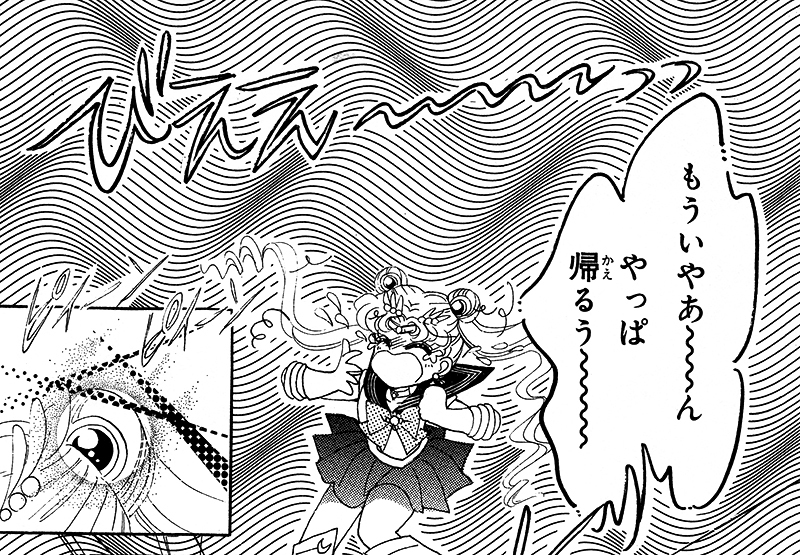 Sailor Moon emits supersonic waves from her odangos when crying. 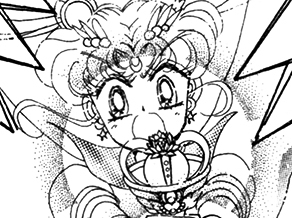 Moon Tiara Boomerang is first seen in volume 1, act 1. Sailor Moon throws her tiara at the enemy. 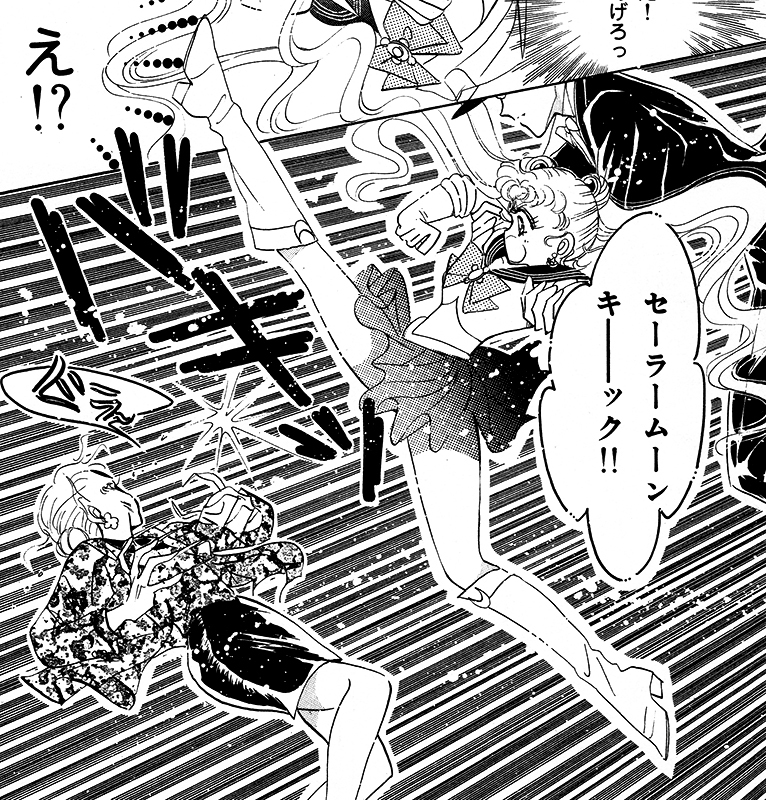 Sailor Moon Kick is first seen in volume 1, act 2. Sailor Moon shouts this phrase as she lets out a kick. Moon Twilight Flash is first seen in volume 1, act 4. 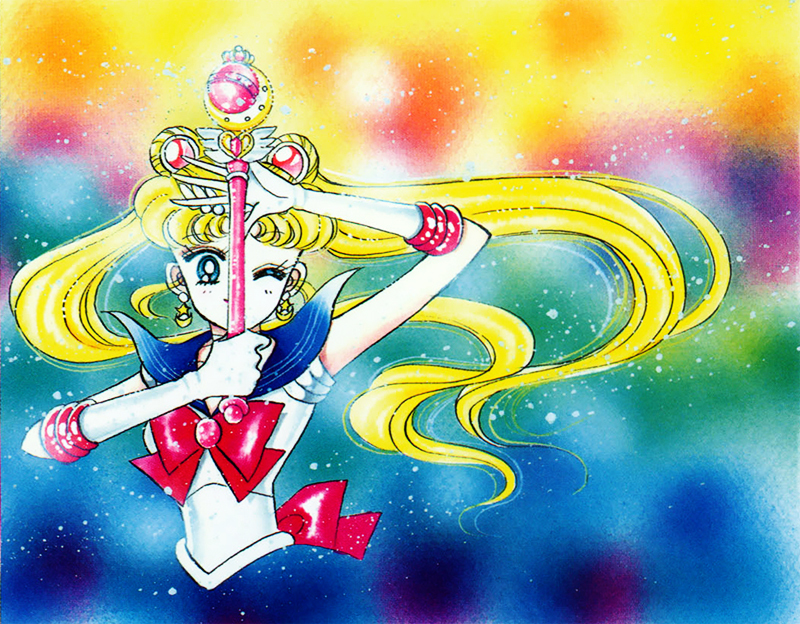 Sailor Moon touches the jewel on her tiara and reflects the light of the moon. Moon Healing Escalation is first seen in volume 1, act 6. 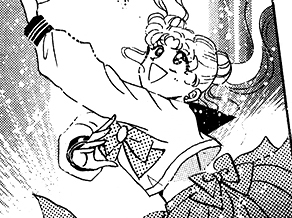 Sailor Moon uses the power of the Moon Stick for healing. 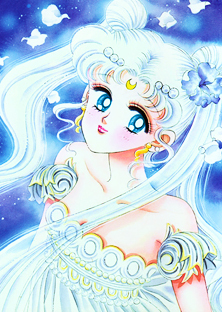 Moon Princess Halation is first seen in volume 3, act 15. 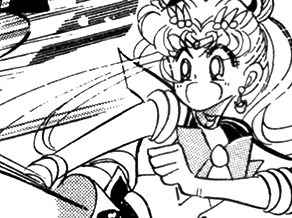 Sailor Moon uses the Moon Rod which shoots a beam at the enemy. 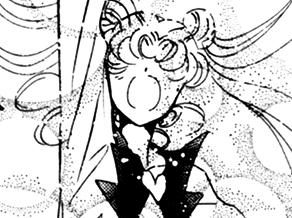 Moon Spiral Heart Attack is first seen in volume 6, act 28. 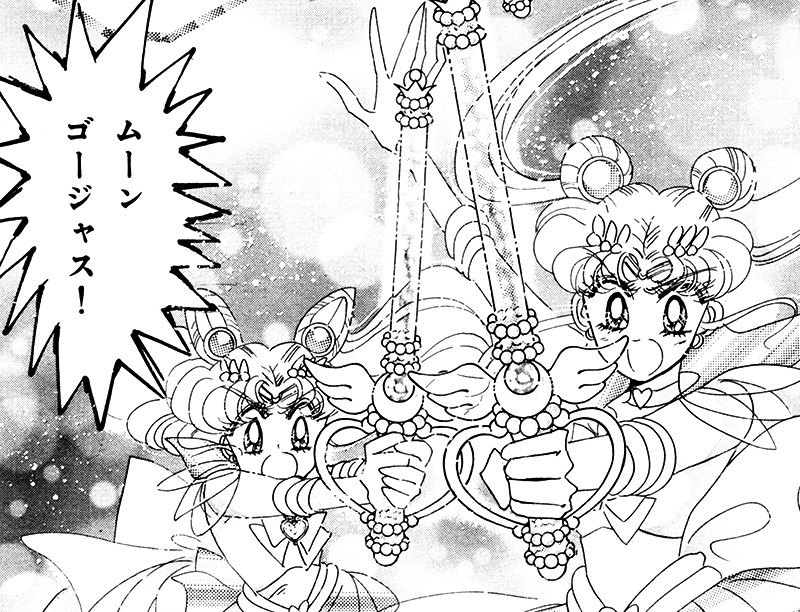 Sailor Moon uses the Heart Moon Rod to emit beams of light at the enemy. 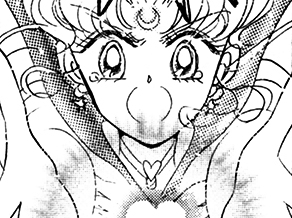 Rainbow Moon Heart Ache is first seen in volume 7, act 33. 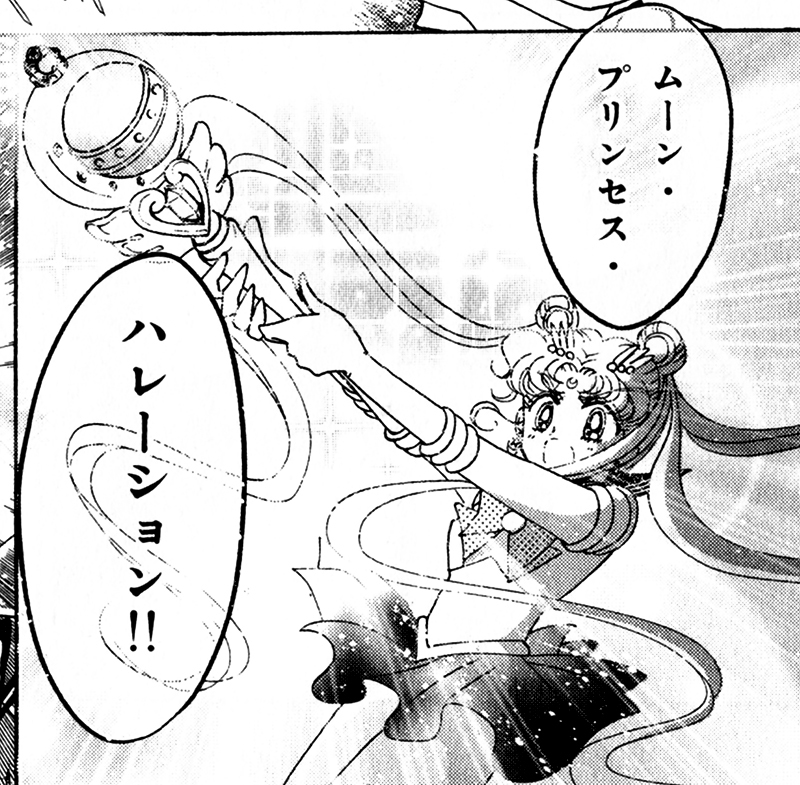 Super Sailor Moon uses the Heart Moon Rod to emit beams of light at the enemy. 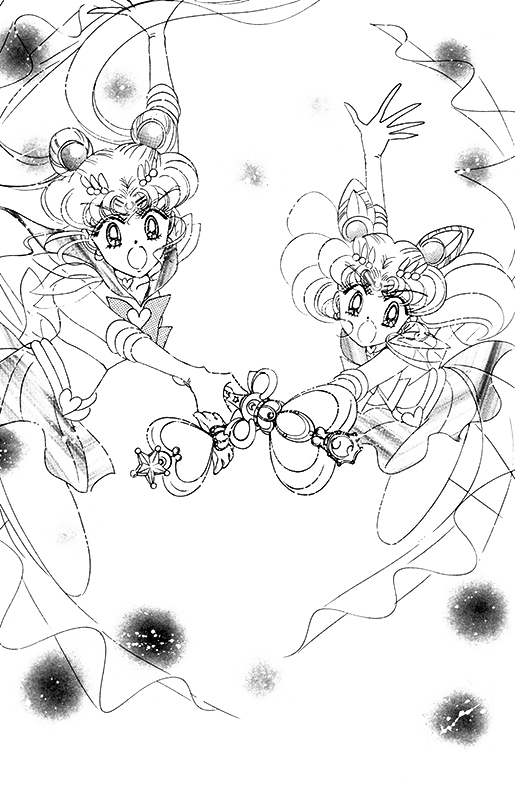 Rainbow Double Moon Heart Ache is first seen in volume 8, act 37. 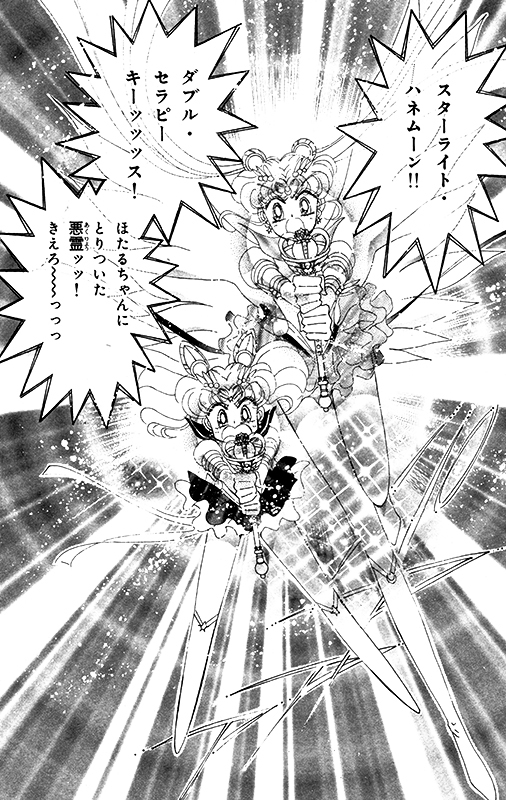 Super Sailor Moon and Super Sailor Chibi Moon uses this combined attack with their Heart Moon Rods to emit beams of light at the enemy. Moon Gorgeous Meditation is first seen in volume 8, act 39. She uses the power of the Moon Kaleido Scope given to her by Pegasus. 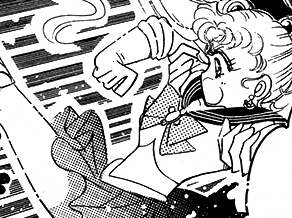 She also combines this move with Super Sailor Chibi Moon. Starlight Honeymoon Therapy Kiss is first seen in volume 10, act 49. Eternal Sailor Moon uses the power of the Eternal Tiare to emit a powerful light. 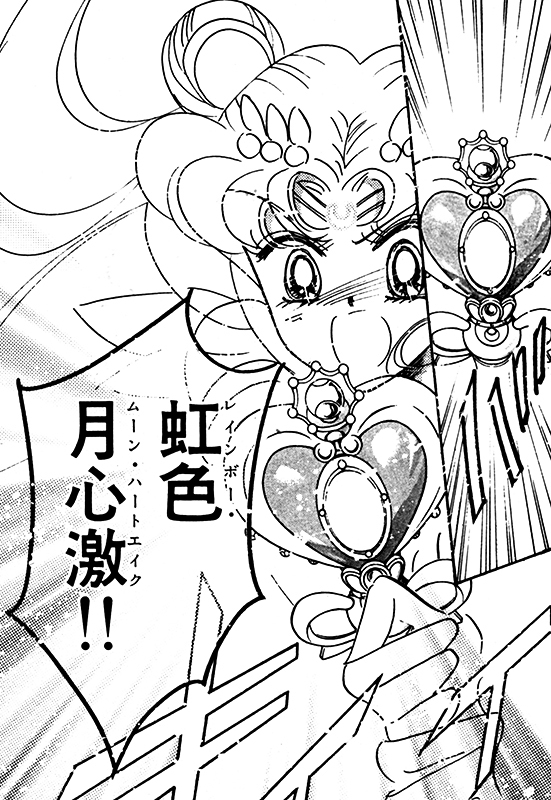 Silver Moon Crystal Power Therapy Kiss is first seen in volume 12, act 58. 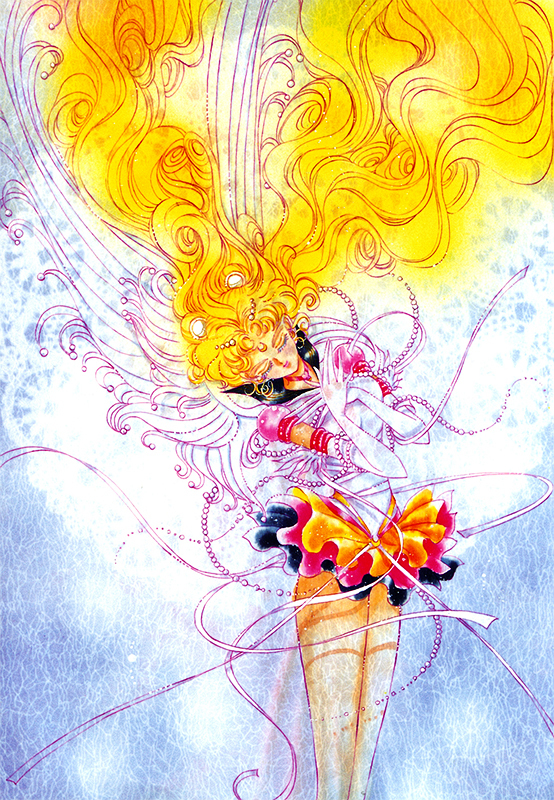 Eternal Sailor Moon uses the power of the extended Eternal Tiare to emit an even more powerful light at the enemy. 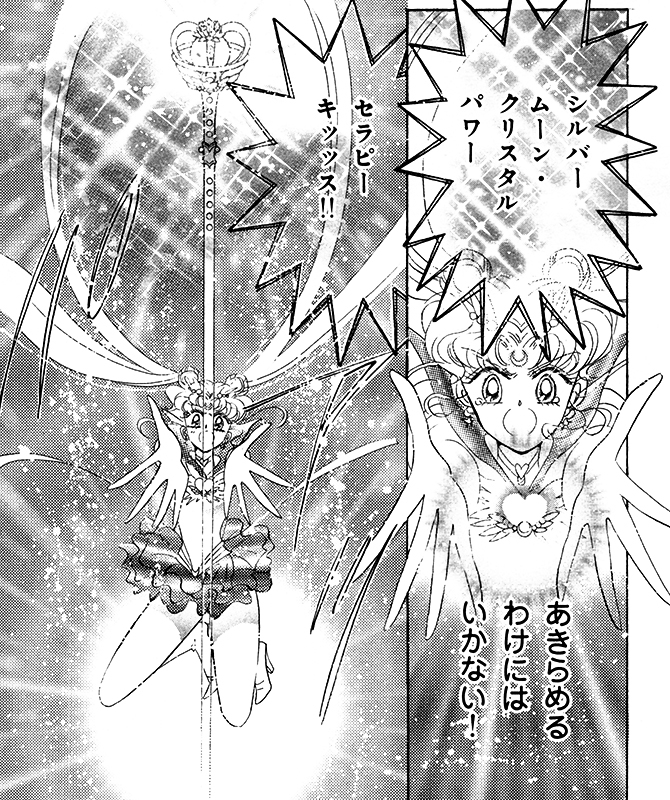 Silver Moon Crystal Eternal Power is first seen in volume 12, act 60. 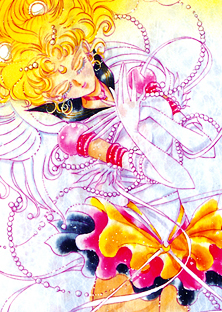 Eternal Sailor Moon's final attack which used the power of the Silver Moon Crystal. 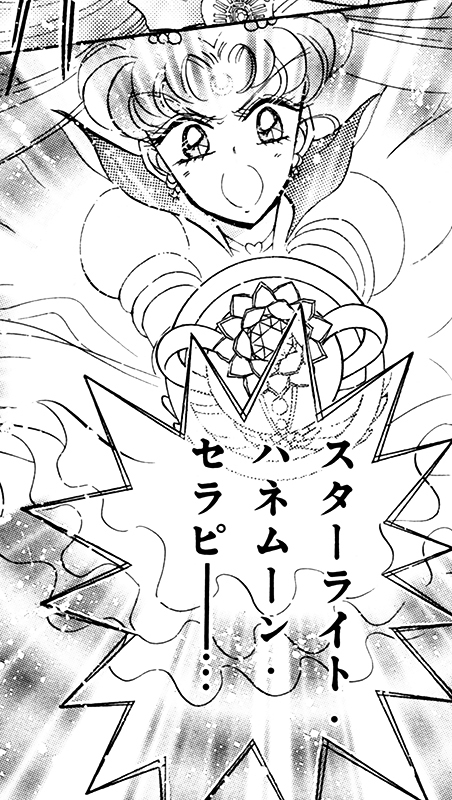 She was aided by the power of the Sailor Crystals in the Galaxy Cauldron while performing this final act of splendour to destroy Chaos. Double Sailor Kick is first seen in Short Stories volume 1, Chibi Usa's Picture Diary #1: Beware of the Transfer Student. 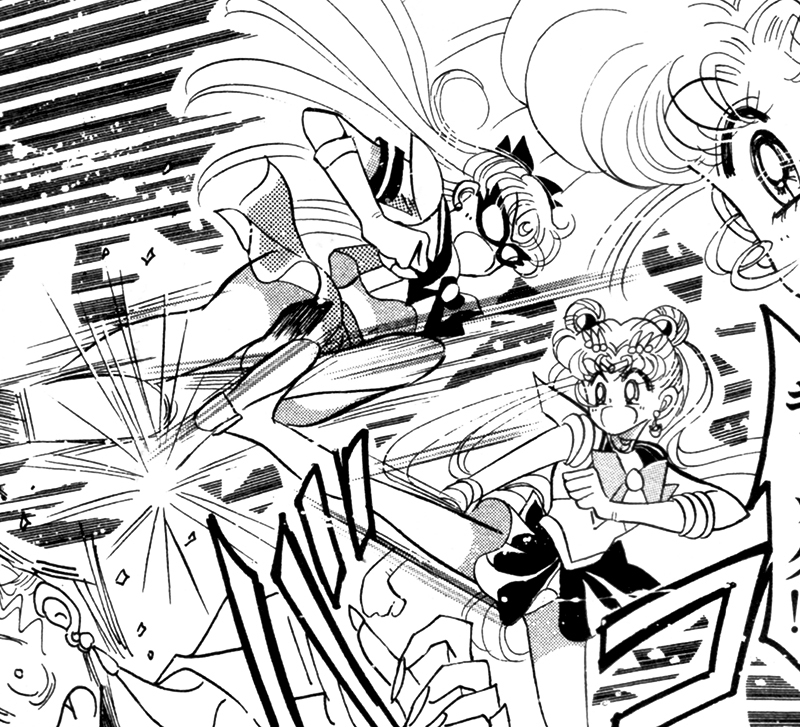 Sailor Moon and Sailor V let out a combined kick against the enemy. Starlight Honeymoon Double Therapy Kiss is first seen in Short Stories volume 1, Chibi Usa's Picture Diary: The Secret Hammer Price Hall. 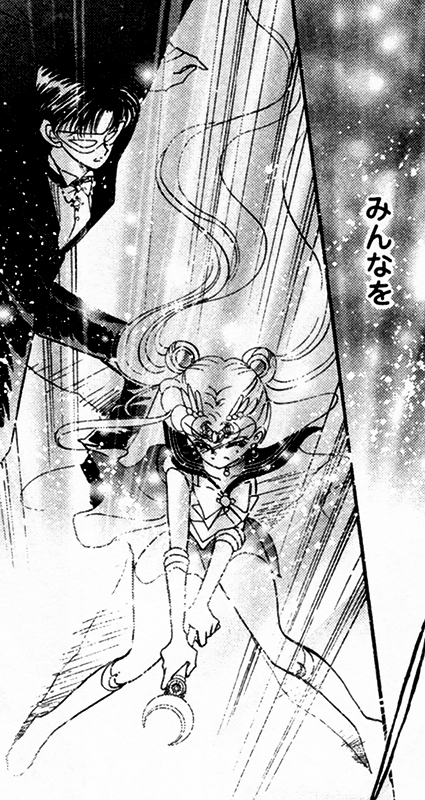 Eternal Sailor Moon and Sailor Chibi Moon uses their Eternal Tiares to perform this attack.